With CAMPING PLUS, discover our selection of the best campsites in Brittany, rigourously selected for their high standard facilities, ideal for a fabulous holiday, in Finistère, Côtes d'Armor, Morbihan, Ille et Vilaine or Loire Atlantique whether you rent a mobile home or chalet for that little extra comfort or a pitch for your tent, caravan or motorhome for a traditional camping experience close to nature. Brittany is the perfect destination for a fabulous family holiday. This beautiful region on the west coast of France boasts miles of coastline and countryside, coastal resorts and fortified towns. You can enjoy shellfish gathering, stroll around local markets, try your hand at rock climbing, watersports or simply relax on a sandy beach. Whatever your preference, your holiday in the land of the standing stones will be a memorable occasion ! Camping in Brittany is with CAMPING PLUS! The Morbihan (meaning small sea in Breton) whose coast stretches from Lorient to Pénestin, is renowned for its Gulf and multitude of islands and islets surrounded by coastal towns such as Arradon, Arzon and Baden. Further along the coast, the standing stones of Carnac and the mecca of sailing, Trinité sur Mer, which faces the Quiberon peninsula. Loire Atlantique lies at the southern tip of Brittany from Assérac and the Brière national park to the Vendée border. This department benefits from the beautiful coastal scenery of Brittany and the magnificent banks of the Loire. You can visit the port town of St Nazaire and the buzzing town of Nantes, the capital of Loire Atlantique. On the Jade Coast, the coastal towns of Saint Brévin and Pornic are ideal for a relaxing holiday ! 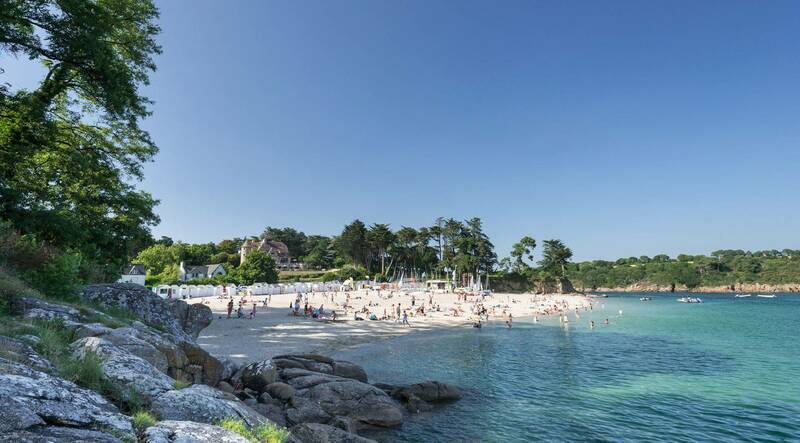 Côtes d’Amor is a very popular region of Brittany thanks to its magnificent coastlines including the famous pink granite coast (pronounced « Aod ar vein ruz in Breton !) which stretch from Perros-Guirec and Lannion to the north west of the department. 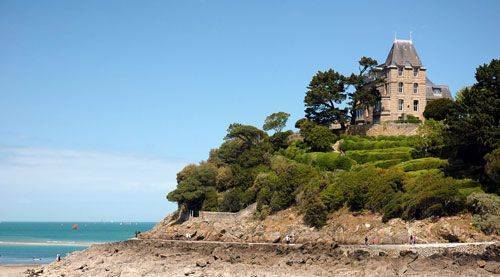 On the coast, Saint Brieuc, the capital of Côtes d’Armor, is a central point and the ideal base from which to explore the area with Dinan to the east and the beautiful beaches between Etables and Bréhat to the west. 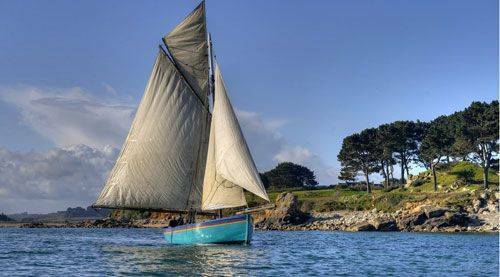 The Finistère is located in the extreme west of Brittany, literally at the end of the earth ! It boasts breathtaking maritime scenery in a natural, preserved environment. 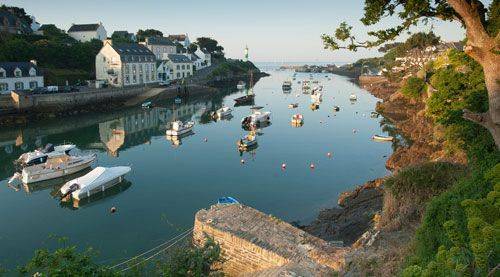 Finistère is renowned for its wild coast and pretty coastal towns like Fouesnant, Douarnanez, Trégunc and Concarneau and for its islands such as Batz, Ouessant and Crozon. Set off on an adventure from Roscoff to Penmarc’h! 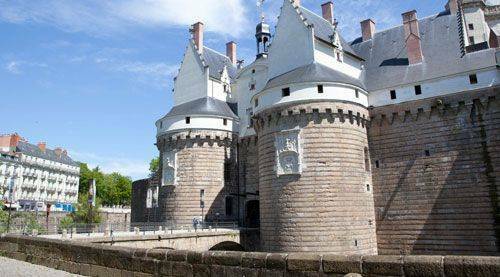 At the gates to Brittany, Ille-et-Vilaine is a holiday destination slightly more inland. The department stretches from Saint Malo and the Emerald coast on the northern side to Loire Atlantique in the south. You can visit Rennes, a lively student town, Fougères and its medieval fortifications or Brocéliande, a legendary enchanted forest in Paimpont. 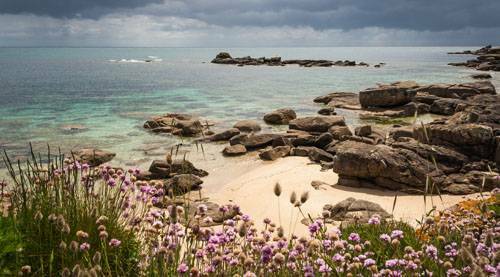 Camping in Brittany with a baby, a good idea? Camping with a baby under a year old… Mission impossible? 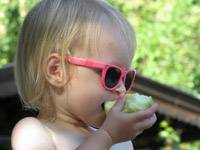 With CAMPING PLUS, camping in Brittany with a baby is child’s play! 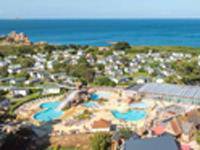 How to choose a campsite in Brittany with a water park? For many campers, a campsite with a water park is a deciding factor when choosing their destination! Yes, but what exactly should you be looking for? Here are some tips to help you choose!